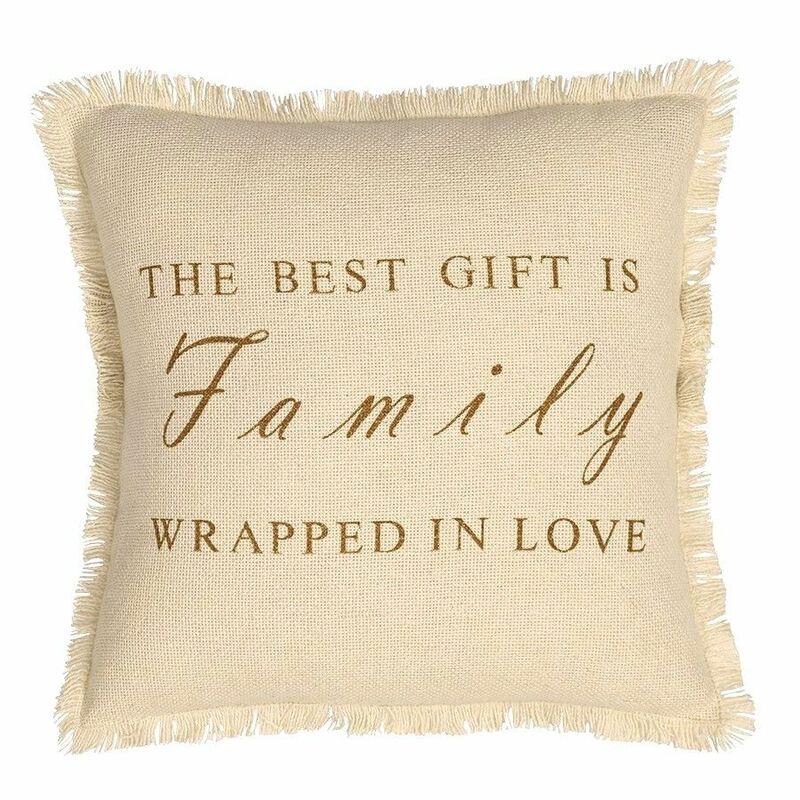 A country-inspired pillow in a soft cream burlap with the saying "The Best Gift is Family Wrapped in Love" stenciled in a soft gold, and finished with a fringed edge. 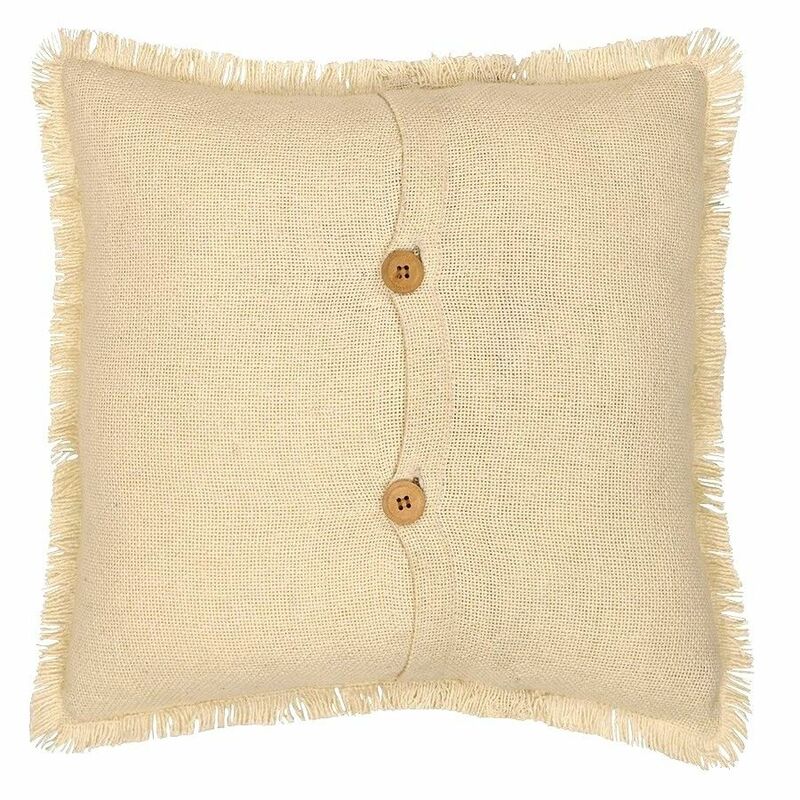 The reverse side as two wood buttons for added country charm. 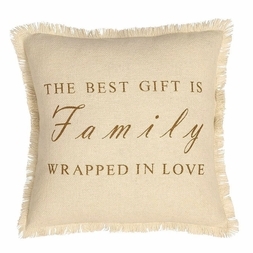 This pillow makes a great wedding or shower gift, or display in your home for your guests to admire. Fill insert included.